After exploding onto the scene last year with the highly charged and widely acclaimed CLR debut, ‘The Engine EP’, Bryan Black revises his BlackAsteroid guise to present ‘Black Acid’: five tracks of lab-crafted techno, and a deeply groovy entry into the Electric Deluxe stable. 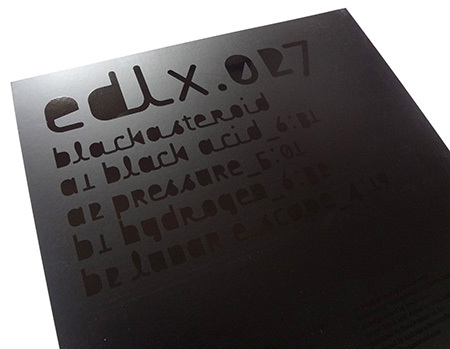 Whilst BlackAsteroid is still a fairly fledgling endeavour, Black’s production credentials are as rich as they are steeped. Starting out at Paisley Park Studios as a sound designer for Prince, Black proceeded to foment a passion for techno as the other half of Motor. Signed to Novamute in 2003, over the course of nearly a decade Black and his partner Olivier Grasset consolidated EBM, industrial, pop and electro fusions into four albums and a string of EPs. 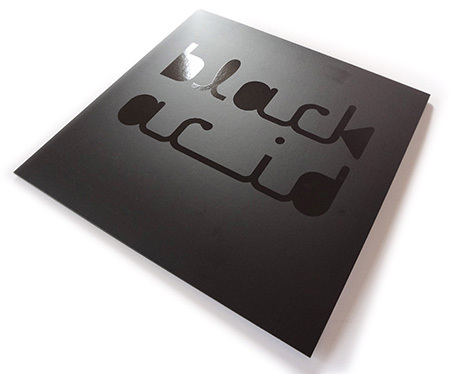 But it is as BlackAsteroid that Black has come into his own as a unique and highly skilled sonic engineer, with ‘Black Acid’ marking further steps towards a purer, and yet boundless engagement with techno. From the EP’s punchy granular title track to the meticulous disorder surrounding “Hydrogen” and palette of alien, mechanical sounds that proliferate throughout—distinctly towards the EP’s space-themed closers: “Pressure”, “Lunar Landing” and “Lunar Escape”—‘Black Acid’ is an inventive and ever intriguing record. Like some estranged and maverick alchemist, Bryan Black mixes drops of discordant home-brewed noise with plenty of infectious floor-ready rhythms to form compounds that transcend straight listening and danceable orientations. Indeed, whether an aficionado of sound or simple beat junkie, ‘Black Acid’ will lure you in with one and hook you with the other. Turn up the bass and dive deep into its timbres to discover the weird and wonderful vistas of BlackAsteroid’s sonic imagining.